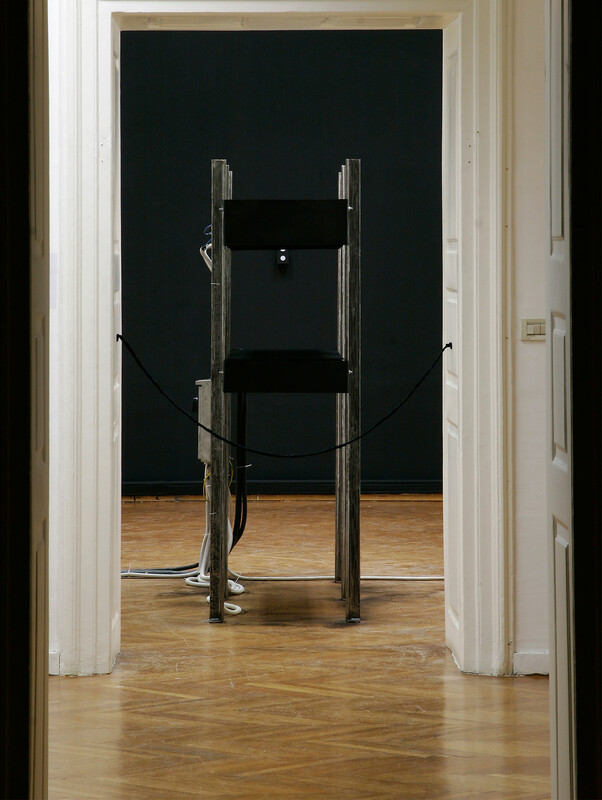 Installation view: Avoid, Museum of Contemporary Art, Zagreb, 2005. Photograph Kristina Lenard. 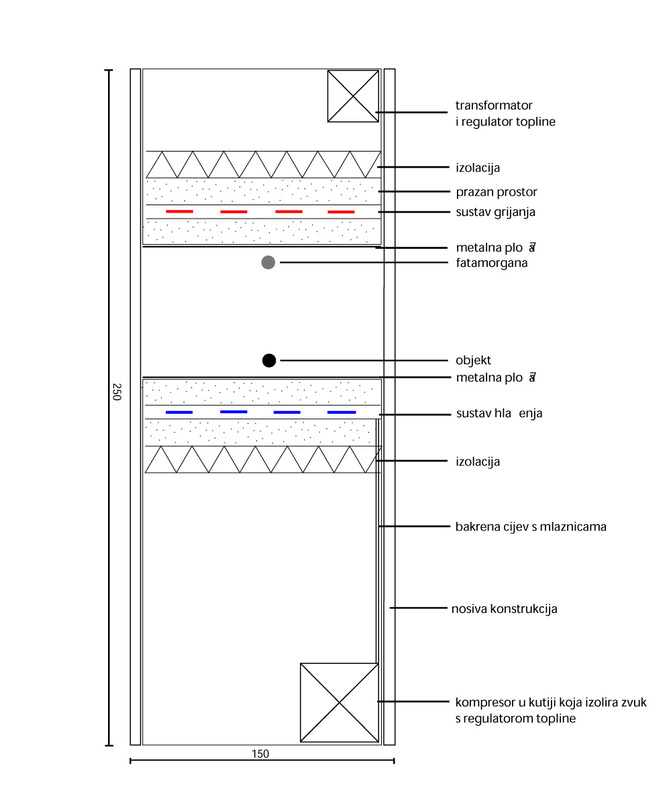 Collaboration with Silvio Vujičić and Damir Očko. 2005. Steel construction, fire clay, refrigeration system, heating system, LED lights. 200 x 50 x 200 cm. 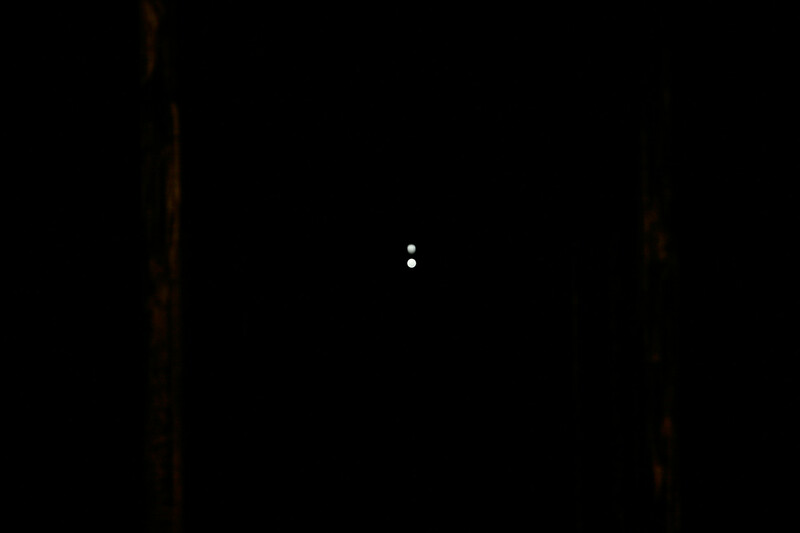 By entering the dark ambiance, only two small circles of light are visible, one above the other. The lights seem very distant, positioned deep into the space. Uneasiness caused by this plain darkness of the site gets even worse due to the wavering of the top circle. The bottom circle is the actual light source, positioned on the wall at the far end of the space, while another circle is a mirage produced by the installation. The work arti cially recreates air conditions for the mirage appearance; with heating and cooling systems it creates gradual layers of air of different temperatures. Accordingly, the light refraction index gradually changes and duplicates the image from behind – the light circle in this case – in upside down position.